ATX Yoga Therapy is a new local business focusing on helping corporate clients achieve their employee health & wellness goals through the lens of Yoga Therapy. Imagine an onsite wellness coach to help you and your employees deal with stress and work life balance. As owner of ATX Yoga Therapy, Lisa Mazina knows from experience that long hours and corporate pressures can lead to burnout and lost productivity. Not just for you, but for all employees. As a sales executive for a Fortune 100 company, her consistent Yoga practice kept her sane, helping to combat the stress of a high profile job, constant travel, and moving abroad. In addition to the health benefits, Yoga Therapy has helped her increase productivity, discover self-acceptance and find balance in our world of constant information overload. Yoga Therapy is a way to empower, heal, and love oneself and we look forward to sharing ATX Yoga Therapy in your workplace. We conduct individualized and group based Yoga Therapy sessions onsite to increase productivity, lower healthcare costs and help employees excel in all facets of their lives. 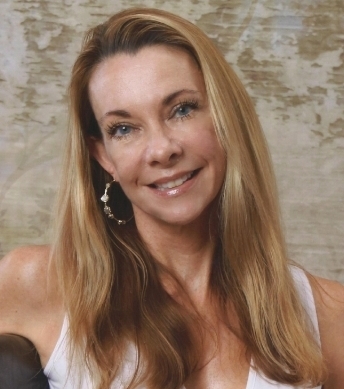 Lisa holds a Masters in Curriculum and Instruction and has been practicing yoga for 15+ years. She is a certified RYT-500 Yoga Instructor (Bikram and Kundalini) and is an entrepreneur having opened Art Galleries in New Orleans and a hot yoga studio in Hawaii. Lisa is currently working on her IAYT (International Association of Yoga Therapists) certification and will graduate in March, 2019. Her team of talented Yoga Therapist interns are passionate about health & wellness in the workplace and will work closely with your team to help your company achieve their health & wellness goals.